Most of the people who live in the Phoenix area look forward to the transition from the hot summer to the pleasant fall season when the temperatures are great for outdoor activities. Unfortunately, fall is also the beginning of the time of year when bacteria and viruses thrive. Try following these six tips to help you avoid illness this fall season. 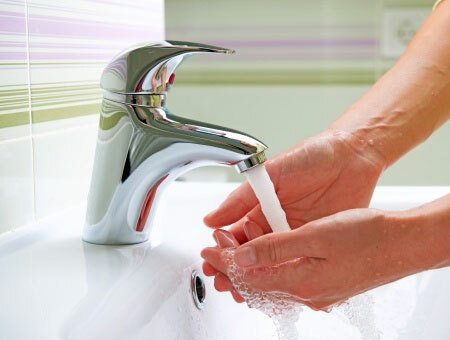 Wash your hands after touching anything other people do when it is possible. Use hand sanitizer several times daily, particularly after you handle money. Extra tip: Use a moisturizing lotion on your hands to avoid suffering from the dry, cracked skin that accompanies frequent hand sanitization. Germs frequently spread between people in a home because everyone touches the same appliances and surfaces. Clean anything that someone may touch such as television remotes, light switches, or countertops at least once daily with a disinfectant to avoid spreading germs. Food items are among the most common areas for viruses and bacteria to be spread among people. Thoroughly cleaning your fruits and vegetables will help you get rid of bad organisms that are spread as people handle them in grocery stores. Cell phones and cups are two very common places for germs to be. Don’t allow others to handle your cell phone or cups to avoid spreading germs. Mouths are the main area where viruses and bacteria enter the body. Stay on top of your oral hygiene by brushing and flossing your teeth twice daily while also using an antiseptic mouthwash to avoid getting sick. The flu virus is very common during fall and winter. Visit your local pharmacy for a flu immunization shot to reduce your chance of being affected by it. Your chances of getting sick or passing on an illness will be greatly reduced by following these six tips during the fall season.